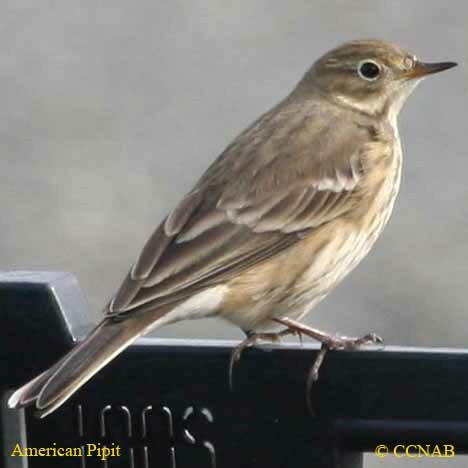 Distribution: The American Pipit is the most common pipit seen in North America. 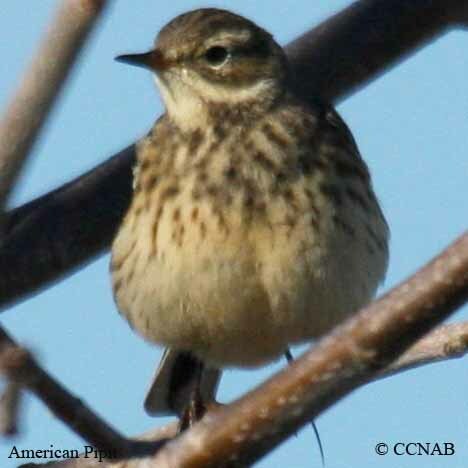 These birds nest on the tundra in the high arctic. 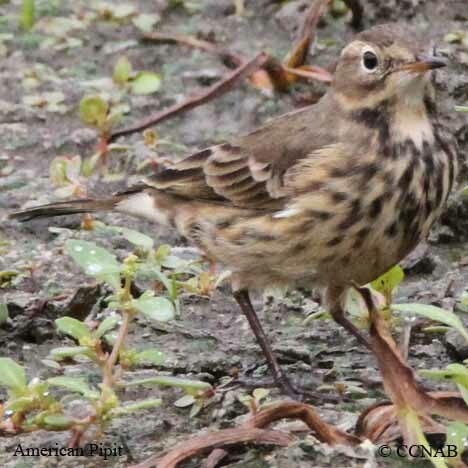 They are seen in Newfoundland and Labrador, right across the most northern regions of Quebec and around the shores of Hudson Bay and Baffin Island. 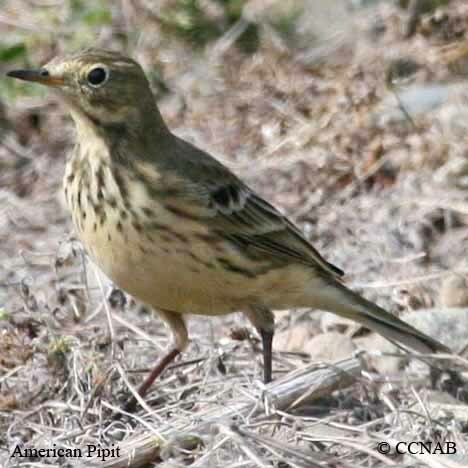 It is also seen across all the Territories and all of Alaska and south through British Columbia as well as touching into Alberta, Montana and Wyoming. 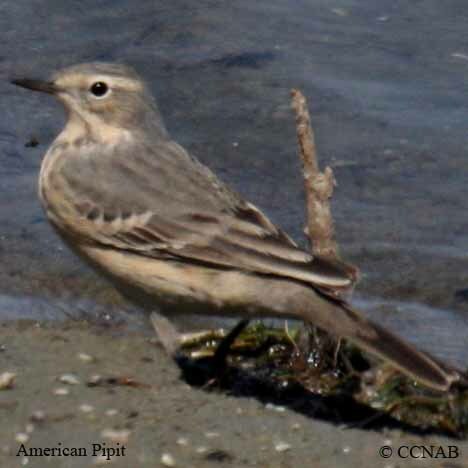 During the non-breeding season they are found from California across the southern states to the tip of southern Florida.